Blocked drains in Tenbury Wells strike without notice and can quickly become a health hazard and a discomfort. If you’re looking for a reliable and reputable drain unblocking in Tenbury Wells Company, Genesis Drainage is here to help. We have been unblocking drains for over 40 years and no one does it better than us. We have a well-trained team of professionals that are friendly and courteous and a 24/7 emergency call out service that will attend to your blocked drains need at any time of the day or night. With our experience and equipment, we are able to work in both commercial and private premises. With the help of cutting edge technology like the CCTV Drainage Survey, we can locate the exact cause of the block and work to resolve it in record time. We aim to cause the least possible disturbance in the period that we are working in your office premises so you can get back to business. Our extensive team of friendly and professional experts is able to handle just about any blocked drains in Tenbury Wells regardless of the magnitude. When it comes to pleasing our clients and leaving impressions, we are always ready to go the extra mile. We are dedicated to providing quality drain unblocking in Tenbury Wells services and are committed to providing high standards to all our clients. We have our own in-house team that is well trained and experience and we don’t outsource our work. With our diverse and lengthy experience, we are able to handle any type and magnitude of blocked drains in Tenbury Wells with ease. You can trust us to help you resolve your blocked drains problem. We also offer other drainage related services that include drainage jetting and drain surveys. To access any of our services or simply ask questions and seek clarity, you can get in touch with us today. 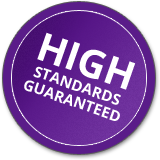 Affordable and professional – We pride ourselves in being able to offer a reliable and high standard service to all of our client. We ensure that we only charge for the work that we have done and only what needs to be done. Unlike most companies, we don’t inflate costs or charge for work that has not been done. You can trust that we will only charge what is rightfully owed to us and with our competitive drain unblocking in Tenbury Well, you will be glad you hired us. Experience – For the past 40 years, we have been working with blocked drains. We have faced all kinds of challenges and we have learned from our mistakes in the past. We have perfected our services and learned the best drain unblocking methods there are. You can rely on our expertise and experience to get the job done no matter how small or big it is. Emergency call out service – blocked drainages don’t have a timeline and they don’t give notices. Once it has happened, you have to get it fixed in the shortest amount of time possible to mitigate losses and damages. With our 24/7 call out service, you can get a blocked drain expert at your door at any time of the day or night within the shortest time possible.